LPIC-1 cert guide for the CompTIA Linux+ and LPIC-1 exams. The course focuses on the exam objectives of LPIC-1 101-400 and LPIC-1 102-400 exam and provides complete coverage of exam topics. 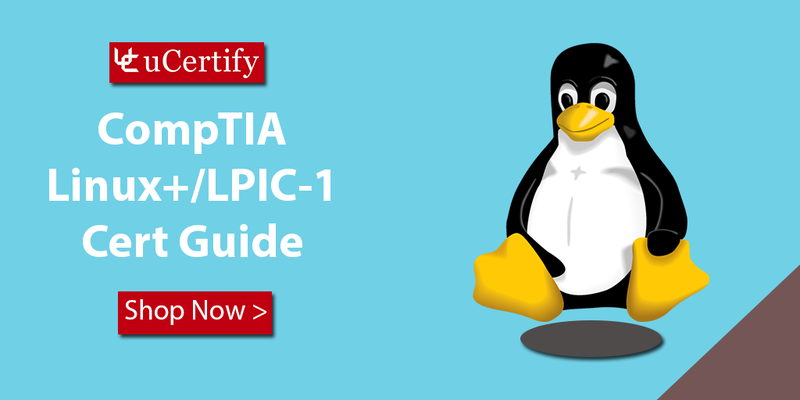 The CompTIA Linux+/LPIC-1 course is designed in two parts, the first part provides knowledge about system architecture; hardware settings configurations; and many more. The second part focuses on SQL data management; accessibility; user interface and desktops; and much more. The LPIC-1 is designed to reflect current researches and validate a candidate’s proficiency in real-world system administration. The Linux Server Professional certification covers basic knowledge for Linux system administration and preparation to take the LPIC-1 101-400 and LPIC-1 102-400 exams. This course is designed for the professionals who perform basic system administration tasks and who need to install, configure, and manage a Linux-based system. LPIC-1 101-400 and LPIC-1 102-400 exams are required to obtain the LPIC level 1 certification. LPIC-1 101-400: LPIC-1 101-400 is the first certification in LPI’s multi-level Linux professional certification program. The LPIC-1 exam topics are Linux installation and package management; GNU and Unix command; devices, Linux filesystems, filesystem hierarchy standard. LPIC-1 102-400: LPIC-1 102-400 exam topics are essential system services; networking fundamentals; security; shells, scripting and data management; interfaces and desktops; administrative tasks. You can be an LPI and CompTIA certified professional with uCertify interactive study-guide that offers the best exam-prep material and hands-on learning with the interactive learning resources. Posted in CompTIA, Course, linux+.Tagged CompTIA, CompTIA certifications training, CompTIA Linux+/LPIC-1 cert guide, Linux cert, Linux+, Linux+ certifications, Linux+/LPIC-1, LPC-1 101-400, LPC-1 102-400, LPIC certifications, LPIC-1 101-400, LPIC-1 102-400.